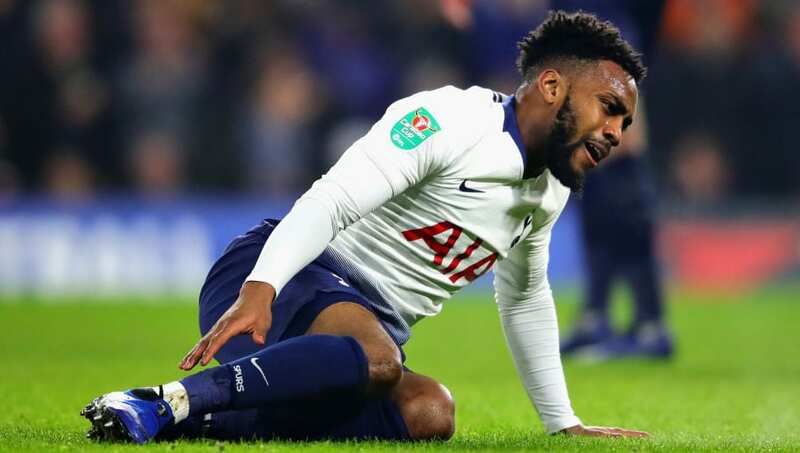 ​Tottenham left-back Danny Rose has been ruled out of Tottenham's first leg tie against Borussia Dortmund in the Champions League, after picking up a shin injury in his side's win over Leicester at the weekend. ​The injury comes as a double blow, with fellow full-back Ben Davies also ruled out of the tie. Pochettino will therefore be forced to alter his back line, and potentially start Jan Vertonghen at left back on Wednesday. Although he has tussled with Ben Davies for a starting berth this term, Rose has been immense when selected, and was the stand-out player in ​Tottenham's decisive Group B curtain-closer against Barcelona. Pochettino has revealed it will be "impossible" for Rose to start against ​Dortmund, but remains hopeful the 28-year-old will recover in time to at least occupy the Wembley bench on Wednesday. ​"​[It is] impossible [for Rose] to start. [We] Need to assess him. Maybe can be on the bench to help the team. From the start is not available," said the Spurs boss, via ​the Mirror. The Argentine will be weighing up his options ahead of the crucial first leg, with Jan Vertonghen or Kyle Walker-Peters the likely candidates to fill the void on the left side of defence. Although the Belgian would rather occupy a more central position in Spurs' back line, he has often be called upon to play in the left, and the 31-year-old admitted he has no issues with the shift. “I’m always available for any position where the team needs me, obviously there’s some difference between the positions,” said Vertonghen. Whether Pochettino opts for a back three or the more conventional back four, they will have a tough time containing the mercurial talents of Jadon Sancho and co. on Wednesday night.